Gentle comfort the whole night through. Thanks to the natural moisture and temperature management afforded by the TENCEL® fibre, the wenaCel® sensitive mattress cover is particularly skin-friendly and an unbeatable sense of comfort. Adapted to suit the ergonomic design of the brook pebble core, even the cover ensures formfitting comfort in 5 zones. The circulating airwave band in the cover ensures optimal aeration of the mattress core, ideal temperature equalisation and an exceptionally cosy sleeping climate. core and ideal temperature equalisation. parts for easy handling when washing. quality for an unbeatably cosy sensation. The mattress cover is elaborately quilted with a fibrous air cushion made up of wenaLoft® fibre. wenaLoft® hollow fibre offers the highest possible quality when it comes to quilting mattress covers. 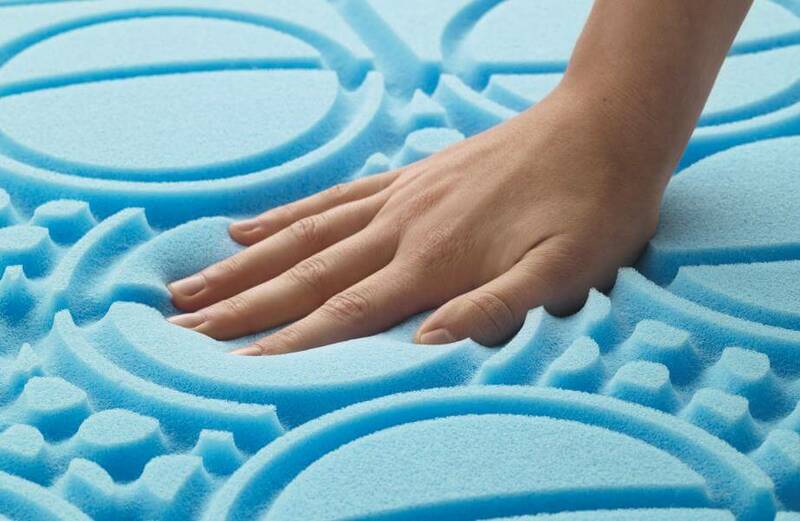 The fibrous air cushion makes the cover fluffier to enhance the point elastic effect. 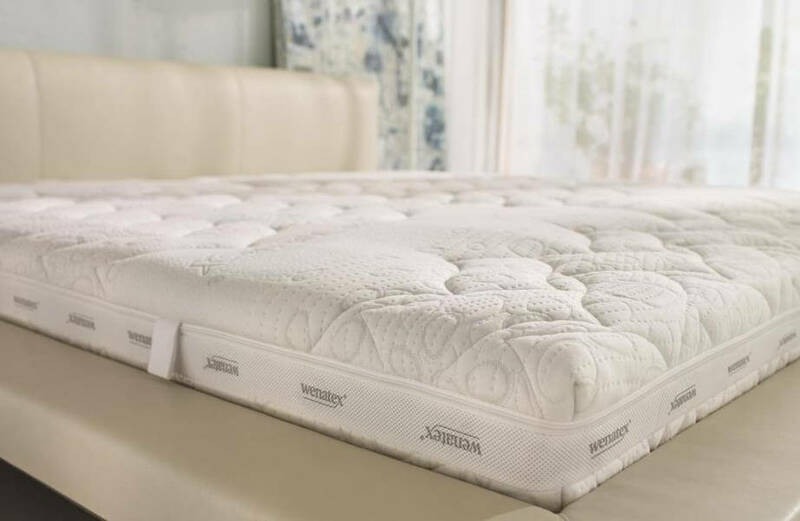 The Sanitized® hygiene function ensures hygienic cleanliness of the mattress cover. While Sanitized® works reliably against bacteria and mould spores, TENCEL® fibre is characterized by particularly good moisture management properties, which help to reduce bacterial growth in comparison to synthetic fibres or even cotton. Therefore, the wenaCel® sensitive orthopaedic mattress is ideally suitable for allergy sufferers.